HIGH4 is a four-member South Korean boy band that debuted in 2014 under N.A.P Entertainment. The group consists of members Sunggu (leader & vocal), Alex (rapper & dancer), Myunghan (vocal), and Youngjun (rapper & maknae). They officially debuted into the Korean entertainment industry on April 8, 2014 with the song "Not Spring, Love, or Cherry Blossoms" featuring IU. In fact, HIGH4 is the only K-pop rookie who has duet with Korea’s No.1 female soloist IU! 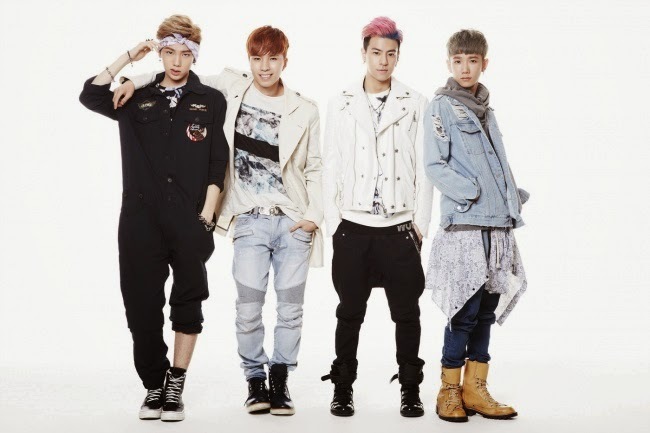 All members of HIGH4 are interested and good in Hip Hop, Dance and R&B genres. Alex is a Korean English speaker who is also a radio DJ for Arirang Radio “Super K- pop” 2015. HIGH4 has expressed high anticipation in visiting Malaysia and eager to bring their very first performance to their Malaysia fans! Some examples of famous tracks by HIGH4 are “Not Spring, Love, or Cherry Blossoms” featuring popular female soloist IU with 26 million Youtube views, “A Little Close” featuring popular female soloist Lim Kim, “Headache”, “Day By Day” and “Baby Boy”. 2014. They have also appeared in various Music programmes such as Inkigayo, Show Champion, Music Core, The Show and After School Club.